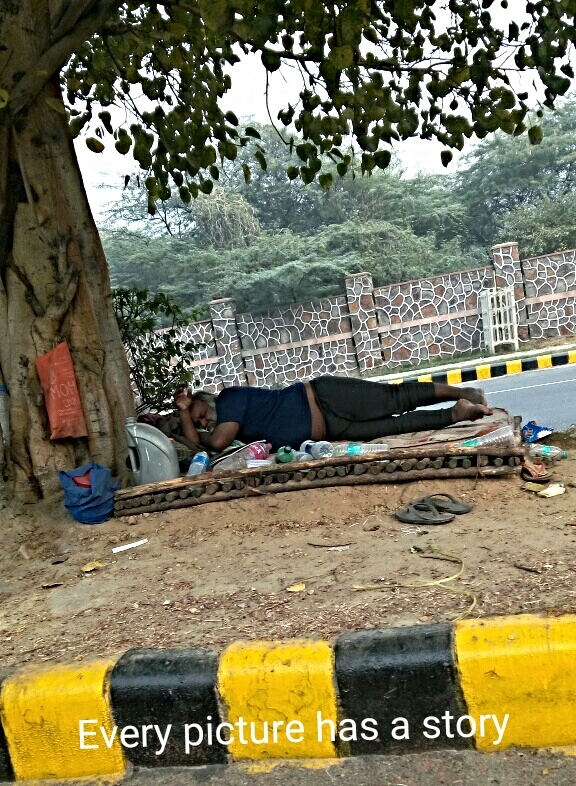 This man is fast asleep in the middle of road oblivious of traffic on both sides of road. Notice what he is sleeping on. How he brought it here? Traffic behind did not let me ask.